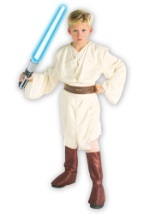 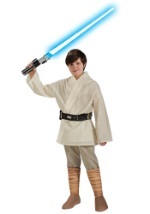 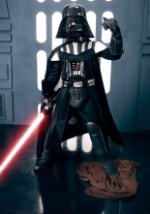 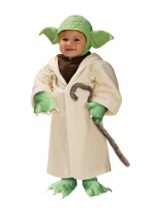 This deluxe Jedi robe for kids is a brown polyester robe which gives you the appearance of an authentic Jedi Knight. 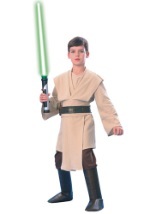 The robe has large sleeves, a hood, and a textured feel to it. 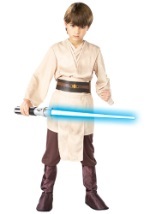 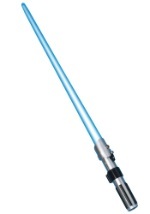 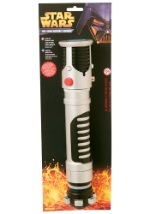 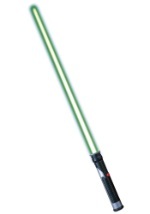 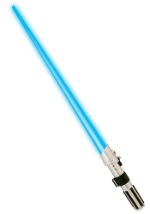 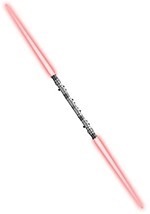 Don’t forget to add a light saber to your Jedi costume.